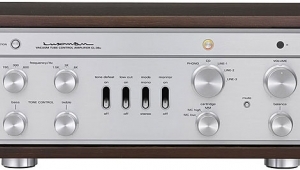 While I know that many Stereophile readers can afford to buy products in that price range, I'm more interested in the type of product that delivers topnotch performance at a relatively modest price. 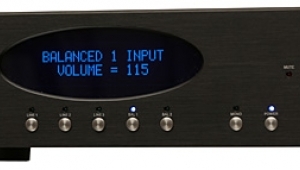 The new BAT VK-3iX preamp and the VK-55 power amp have a combined price of $6490—not cheap by any means, but a long way from cost-no-object, and listening to a system featuring these components at Home Entertainment 2004 made me think that these products could be exactly my cup of tea. The original VK-5 and VK-60 had looks that were more no-nonsense functional than audio jewelry. I have no problem with that—I'd rather see a manufacturer spend money on parts quality than cosmetics—but I have no objection to improved appearance if the increase in cost is relatively minor. In fact, the VK-3iX and the VK-55, while maintaining the general industrial design of their predecessors, are definitely more attractive, with a more classy fit'n'finish. 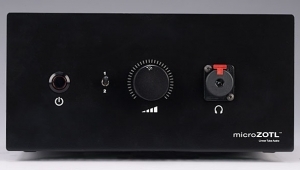 The VK-3iX's front panel is uncluttered, having only a power switch, a couple of large knobs for source selection and volume, a mute switch, and a numerical volume display. There is no balance control or channel trim—a cost-cutting measure that may in fact have a benefit by enhancing the simplicity of the circuit path. 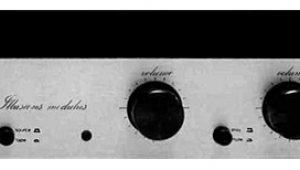 In keeping with the company name and design approach, the original VK-5 had only balanced XLR inputs and outputs; single-ended input/output connections had to be made with optional XLR-to-RCA adapters. 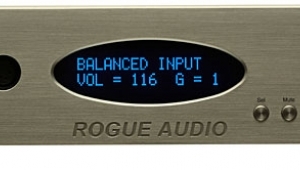 The VK-3iX takes greater cognizance of the fact that some components connected to it may not be configured for balanced operation: there are four RCA as well as two XLR inputs, an RCA tape output, and one RCA and one XLR output. 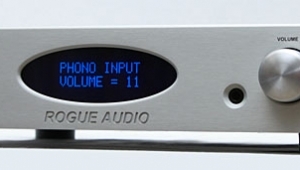 If the optional phono board is installed ($500), one of the Aux RCA inputs becomes a phono input. 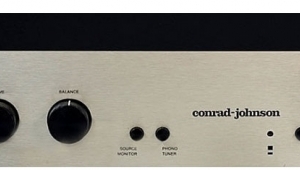 Remote control is another option ($500), and features Volume Up/Down, Mute, Fade, and pushbutton selection of five user-defined preset volume settings and a sixth, Unity Gain setting (for feeding a surround processor). Its remote is the only feature of the VK-3iX that I'm not fond of. It's heavy and obviously well made, but has the common design fault of having buttons that are all the same size (small); it's hard to find the important Volume Up/Down and Mute buttons by feel. I found the Fade function to be only marginally useful, and five user-defined preset volume settings are five too many, in my opinion. My advice: Save $500 and enjoy the enhanced fitness you'll experience as a result of those long walks from listening chair to preamp. 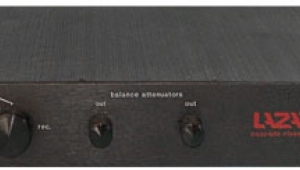 To those familiar with BAT tube amplifiers, the most immediately noticeable thing about the VK-55 is its size: not quite diminutive, but much smaller than the VK-60 and its direct descendant, the VK-75. The amp is missing that industrial-strength handle at the back, and power on/off is now handled by two pushbuttons located front and center, more convenient than the previous toggle switch at the back. The power transformer is now inside the chassis, so only the output transformers are on top. The VK-55 has balanced XLR inputs only; driving it by an unbalanced preamp requires RCA-to-XLR adapters. 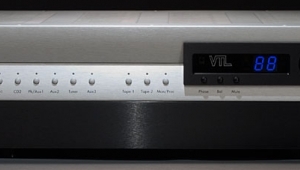 Like the VK-3iX, the VK-55 has benefited from a refinement of its industrial design, and is more attractive than earlier BAT amps. BAT's stated audio design approach is to have true balanced circuits from input to output, high-energy power supplies, simple signal paths, and little or no global negative feedback. (For the VK-3iX, the global negative feedback is zero; for the VK-55, it's 6dB.) According to Victor Khomenko, the VK-3iX continues the tube-based differential circuits first implemented in the VK-5, with massive power supplies and symmetrical high-voltage rails. 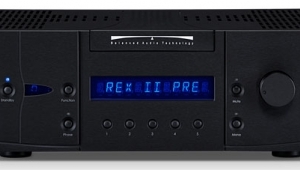 Like BAT's reference VK-51SE preamp, the VK-3iX has a single gain stage with no buffer or cathode follower circuits, and a shunt volume control using high-quality Vishay resistors. 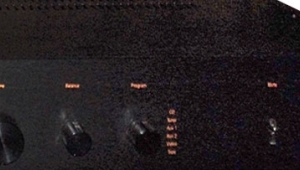 The gain stage uses 6922 tubes in the standard configuration, and 6H30 SuperTubes in the VK-3iXSE (which costs $1000 more than the standard version). Also available are the SIX-PAK ($600) output-capacitor and SUPER PAK ($500) power-supply upgrades, which are also included in the SE version. The review sample was the standard version, sans upgrades. 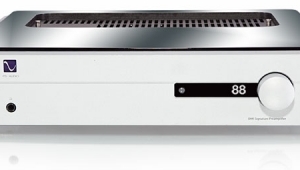 The optional phono card ($500)—which was installed in the review sample—is solid-state, and has its own onboard power supply and transformer. 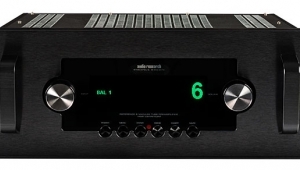 It employs two gain stages with a passive RIAA circuit. The card has two gain settings, 45dB and 60dB, and sockets for resistive loading of cartridges. In talking about these two new products, Victor Khomenko seems especially proud of the value represented by the VK-55. He points out that the VK-60 cost $3995 when it was introduced in 1995, that price rising shortly thereafter to $4495. He suggests that with 10 years of inflation, the VK-60 would cost around $8000 today, and yet the VK-55, with similar power output and numerous refinements, is only $3995. He credits Plitron, manufacturer of the toroidal transformers used in the VK-55, with allowing the amp to have a bandwidth extending from 7Hz to 200kHz—rare for a transformer-based tube design. The VK-55's power transformer is inside the chassis, in close proximity to circuits, so it required extra care in design to avoid hum and noise. 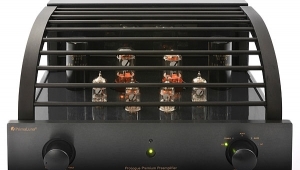 Like BAT's other tube amps, the VK-55 uses Russian 6C33 tubes in the output stage, as well as an auto-bias circuit, refined in previous generations of BAT amplifiers, to compensate for tube mismatch, aging, and power-line fluctuations. One cost-cutting measure in the design of the VK-55 was a reduction of the number of power supplies: three rather than the 10 found in the VK-75. Khomenko admits that this presented a particular challenge, given that he considers low noise an important design objective, and a smaller number of power supplies means that an amplifier is less likely to produce ground loops and their associated buzzes. The VK-55 had a couple of initial tube-related problems, perhaps as a result of some rougher-than-usual handling the equipment might have received in shipping. 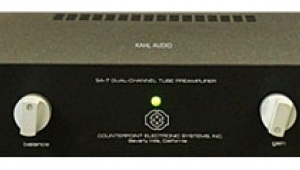 Two of the smaller 6H80 tubes (one in each channel) were microphonic; even moderate tapping of the amplifier chassis resulted in a fairly loud sound being produced by the speakers. Replacing these tubes solved the problem; I could then tap the chassis quite hard, with no sound coming from the speakers. The second problem involved one of the 6C33 output tubes. This happened after having used the amp for a few weeks: one channel simply went dead, and the bias LEDs in that channel were not lit. I replaced the fuse in that channel (easily accessible from the top of the chassis), and when I turned on the amp the sound came back on, but I could see some arcing in one of the 6C33s. I quickly turned off the amp, replaced the tube with a spare, and everything was fine from then on. The VK-3iX was trouble-free throughout the review period. 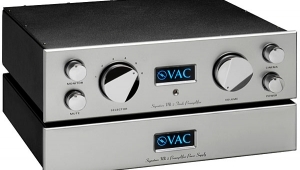 I first listened to the VK-3iX and VK-55 in combination, with balanced XLR connections between preamp and amp, and the CD input fed from an unbalanced RCA source using XLR-to-RCA adapters. (It occurred to me later that I could have used the input labeled Tuner, which has RCA jacks.) With my Avantgarde Uno 3.0 loudspeakers, my first concern with any new amplifier is noise: with a sensitivity of +100dB, the Unos are merciless in exposing any noise in the system. As it turned out, the Avantgardes driven by the VK-3iX and VK-55 produced less noise than I'd heard with any other combination of preamp and power amp. With nothing playing but the volume control set at a fairly high level, I had to go right up to the midrange or tweeter horn to hear a very slight hiss, and when I put the VK-3iX on mute even that disappeared. Most impressive!